In this exercise, you will practice blending card and position meanings. 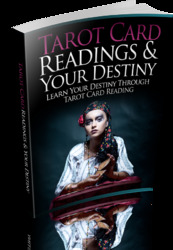 Choose a card from the tarot deck, and read over its keywords and actions. Try to get a feel for the card's essential meaning. Imagine that your card has appeared in Position 1 of a Celtic Cross reading. How does being here refine the meaning of this card? How do the card and position meanings work together to create a composite? Write one sentence that sums up your interpretation. Don't try to figure out the right answer because there isn't one. Select a possibility that appeals to you and makes sense. Your sentence doesn't have to relate to your own life in any way as this exercise is simply for practice.